The 38th playing of the Mid-Amateur Championship is heading to Quail Valley Golf Club in Vero Beach. The Tommy Fazio design will be a delight for match play as it offers numerous tee pads and fast undulating greens, and will be shown off with a variety of setups over match play rounds. 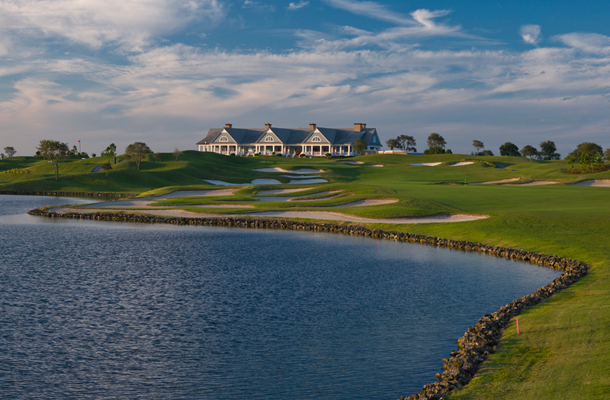 Quail Valley has played host to two Florida Open's, the 97th Florida Amateur Championship and US Open Sectional Qualifying. An estimated 350 mid-amateurs (25 years of age and older) will attempt to qualify for this premier championship which is ranked by the World Amateur Golf Rankings. Click here to see the results from past Mid-Amateur Championships. Championship Fee: Fee paid by those individuals who advance to the Championship through qualifying. Includes tee gifts, course fees, and range balls for each competitive round. Pre-RegistrationLate entries will be accepted subject to a $10 late entry fee should the entrant gain acceptance into the qualifying field. Those individuals who advance to the Championship through qualifying must pre-register and remit an additional $125 online at www.FSGA.org under the "My Account" section, which can be located in the top right hand corner of the web-page. Payment must be received by Thursday, May 3rd by 3:30 pm, or the individual will be withdrawn from the Championship. Qualifying Entry Fees - Requests for qualifying entry refunds received prior to entry closing date will be honored (less $20 per entry administrative fee). Requests received after the closing date will be honored (less 50% of entry fee). No requests will be honored within two days of the scheduled start date of the qualifier. Championship Fees & Exempt Entry Fees - Requests for refunds of Exempt or Championship fees prior to the pre-registration deadline will be honored (less $20 per entry administrative fee). No requests will be honored after the pre-registration deadline (See pre-registration date displayed on this page). 36 holes of gross individual stroke play. Low 32 scores advance to match play. Semifinals will be played on Sunday morning and Championship match will be played on Sunday afternoon. The golf course will be set-up at approximately 6,800-7,100 yards. 18 holes of individual stroke play at seven qualifying sites. During qualifying, each player must use a golf cart. Players are responsible for cart fees for all practice rounds. Marc Dull, of Winter Haven defeated Jeff Golden; by default, in the final after a weather delay halted play. Dull, the 2017 Player of the Year, defeated past Champions, Joe Alfieri, Chip Brooke & T J Shuart, en route to his first Mid-Amateur Championship title. Practice rounds are available one week prior to the Championship and after 12:00 PM the weekend prior on a space available basis. The cost of your first practice round is $35 plus tax. Please call 772-299-0093 to arrange your practice round. Accepted forms of payment in the Golf Shop are American Express, Visa, and MasterCard. Local Rules and Terms of the Competition - Click here. May 1 - December 31, 2019 - $124 per night plus tax. - Single/Double Occupancy Suites.For reservations please call 772-978-9292, and identify yourself as an FSGA Competitor or book online here, using corporate code "3F1"